Chrysanthemum ( 菊花 ) flowers have been used in the food preparation for centuries in China, with the dried ones normally used for preparing teas. Do you know that in Japan, chrysanthemum is a symbol of the Emperor, and the flower can be found on the Japanese passport and the 50 yen coin? There are many health benefits of #Chrysanthemum, and the " golden flowers " are used in traditional Chinese medicine to treat various internal and external health issues. 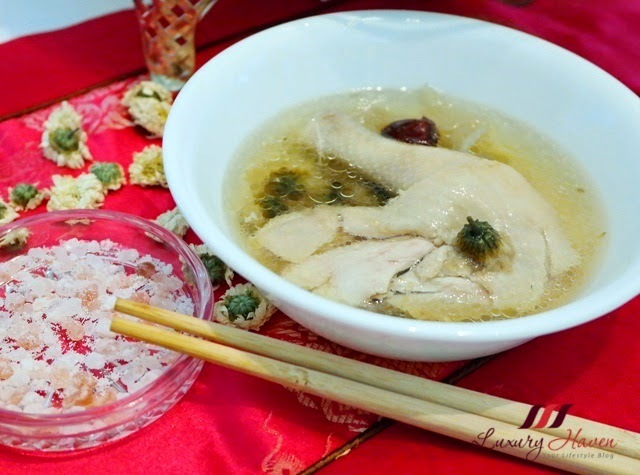 Today, I would like to introduce you to my Golden Chrysanthemum Chicken ( 帝皇菊花貴鸡 ) where you can serve this soupy chicken dish which has a slight floral aroma with a refreshing taste for your Chinese New Year feast. Thermos Shuttle Chef® is probably one of the best kitchen gadgets to have. With it, I only need to cook the chicken for about 10 minutes, and then transfer to the thermos outer pot to let it sit for about 2 hours. 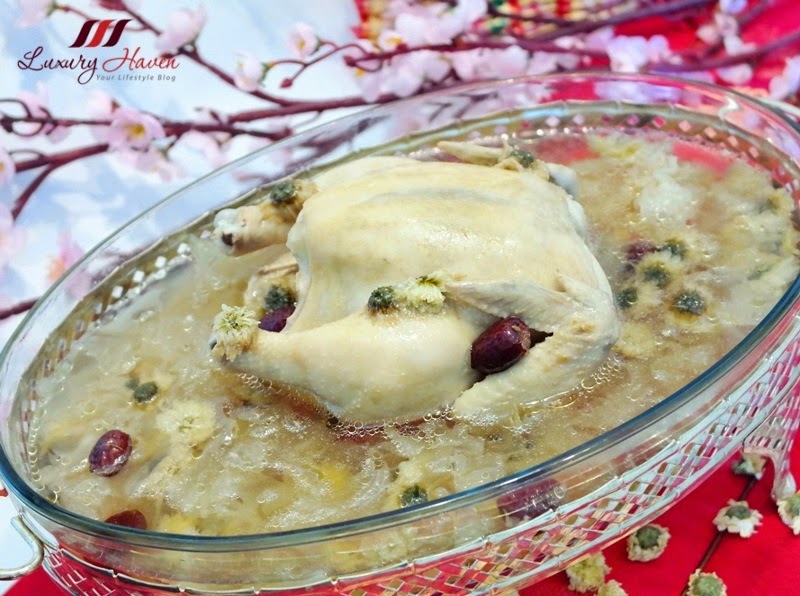 The result is a tender chicken with a fragrant floral soup base. Soak Chinese herbs in water till soft. Discard base from snow fungus when soft and set aside. Remove unwanted chicken parts like neck, innards and fats. 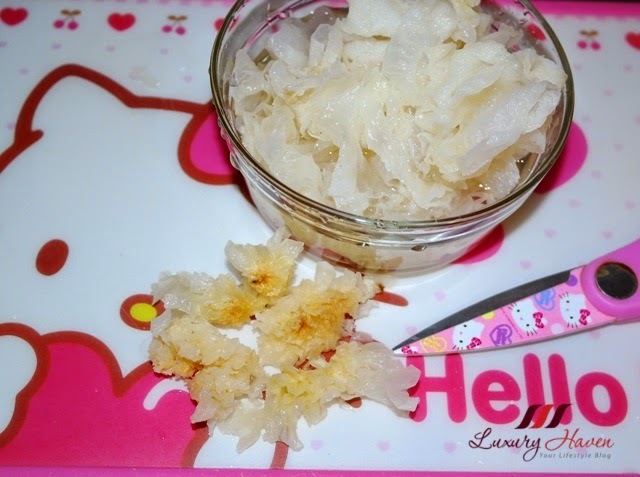 Separate chicken feet and cut off nails. 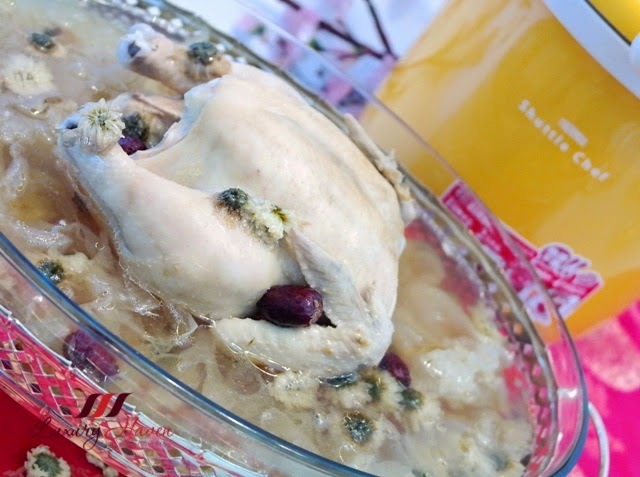 Blanch chicken and feet in boiling water. Drain. 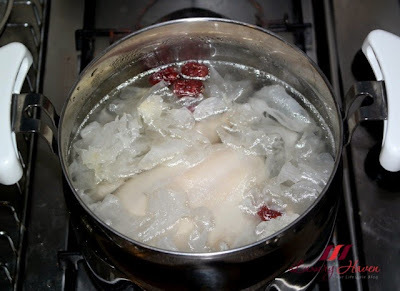 Boil water in Thermos Shuttle Chef® inner pot and cook chicken and feet for about 5 mins. Add dates and fungus and cook for another 5 mins. Add chrysanthemum, cover pot and turn off heat. Transfer to outer pot and let it brew for about 2 hrs. Heat up inner pot just before serving and add seasonings, and your Golden Chrysanthemum Chicken ( 帝皇菊花貴鸡 ) is ready to be on the table. 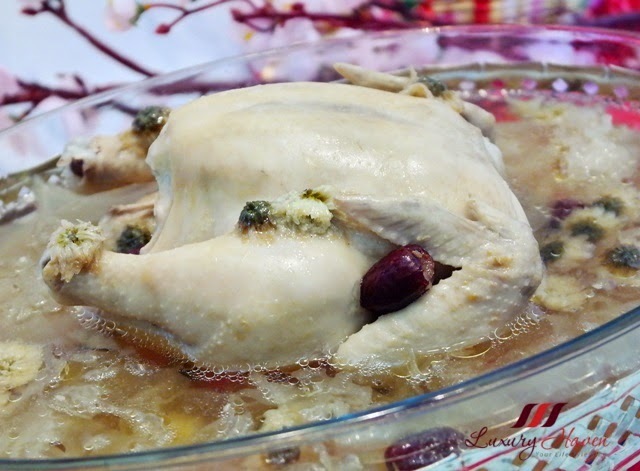 * For slow-cooker: Follow steps 1 to 3, then blanch your chicken and add into water with dates and fungus and leave it to cook overnight on auto. Throw in chrysanthemum about an hour before serving. 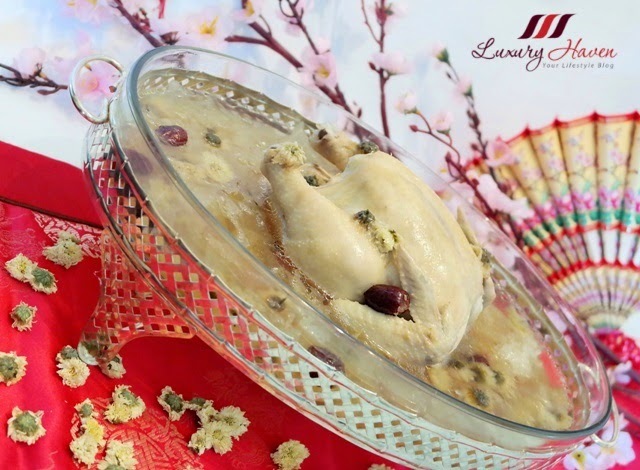 I am sure your guests will enjoy this healthy Chinese New Year Golden Chrysanthemum Chicken ( 帝皇菊花貴鸡 ) with a harmony of flavours from the chicken, snow fungus, red dates and the " golden flower ". How about serving the tender chicken meat with a touch of the Himalayan Pink Crystal Salt to add some flavours? I am sure your guests will enjoy the delicious dish as much as we did. 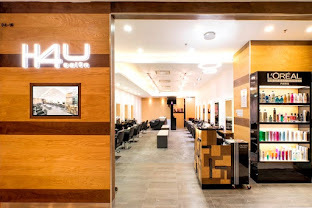 Updated Jan 19 2016: Quite a handful of readers have shared their concern both here and in Facebook after seeing my Chrysanthemum Chicken Combo, and I thought I should give my 2 cents worth. For those are do not understand Chinese, the above image has been circulating in Facebook some time back which reads, "Chicken + Chrysanthemum = Poison". Well, I found it rather amusing as I have taken this combination for years and I am still in the pink of health. I have also served this dish to family and friends and they are still alive with no food poisoning issues arising from eating this combination. 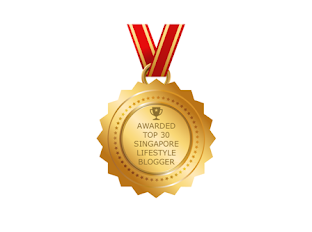 Food Poison Myth Busted: I would like to thank all readers who had shared the above info with me and raised their concern. 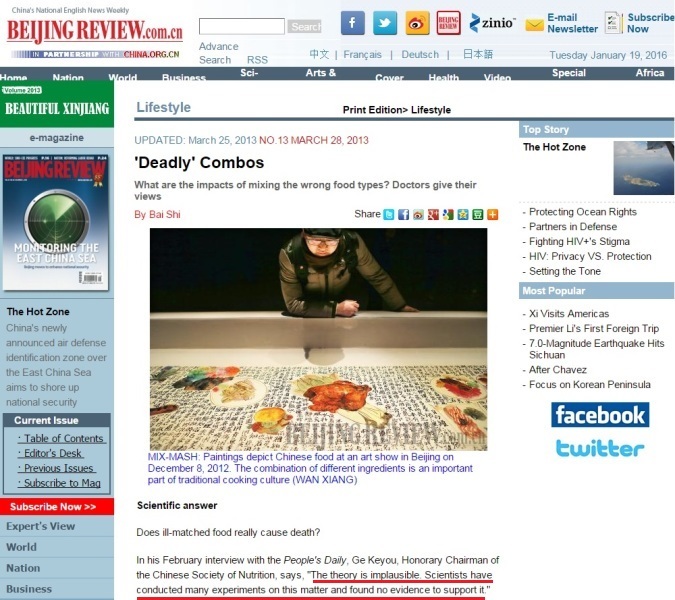 I am pleased to share this article I stumbled upon at Beijing Review on these "Deadly Combos". As you can see from the excerpt, many experiments were conducted and they found no evidence to support the food poisoning rumor. Here is another excerpt by Fan Zhihong, a nutritionist at China Agriculture University, taking the same stance. "Rumor has it that eating mutton and water melon or chicken and chrysanthemum will lead to poisoning. But these foods are often eaten together and no one suffers." "In everyday life, some foods may cause stomachache or itchy skin. 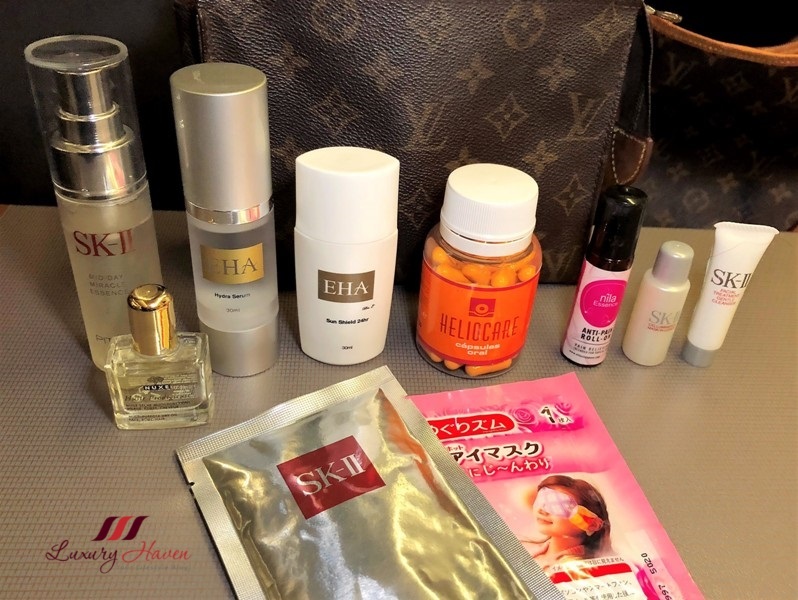 But this is mainly due to eating spoiled ingredients or cooking in unhygienic conditions," said Zhang Chunyan, Director of the Chinese Medicine Department at Shanghai Eastern Hospital. The doctor said she has never heard of a death caused by ill-matched food during her entire career. I hope that sharing the above info has solved the food poisoning " myth ", and that you guys can now eat in peace although I have to say that we take risk in whatever we do or eat, don't we? 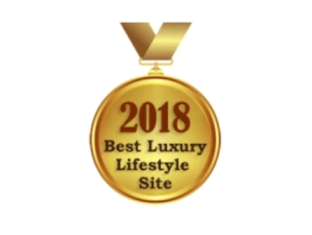 With this, I wish all readers good health and happiness! 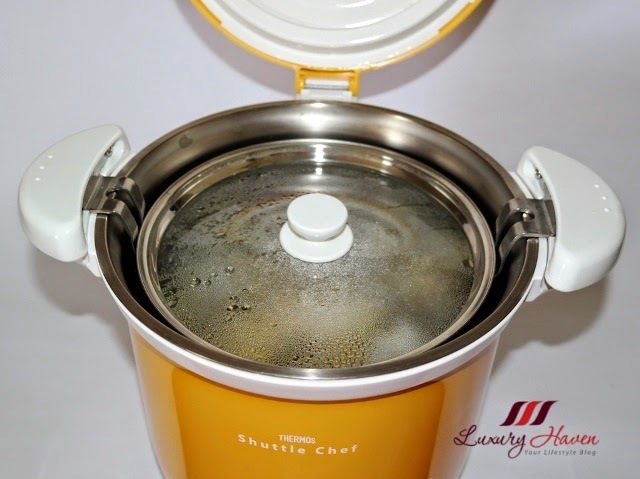 Do you own a Thermos Shuttle Chef® too? 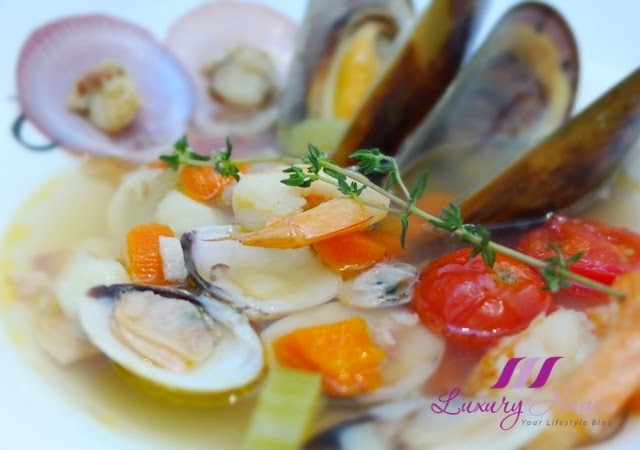 If you prefer to have a western-style soup, check out this Yummy Succulent Shellfish Soup loaded with colourful vegetables!! Yum! I miss Chinese food! I love Chinese dishes like crazy. This yummy version is also included. Looks really yummy. Thanks for stopping by! That look so healthy and delish. I don't have thermos shuffle chef, this dish looks yum. Hey Shirley, sorry for not coming by regularly! Been running around like a mad hen these days.. hahaha.. hope to do more blog hopping when all is settled down... And by the way, I like this Golden Chrysanthemum Chicken here.. ! 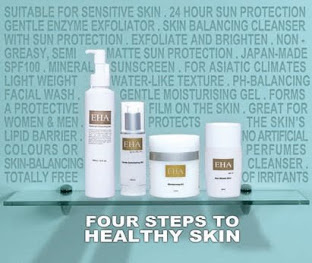 Good for health.. yes! Uhmmmmm.... this chicken looks delicious!!! 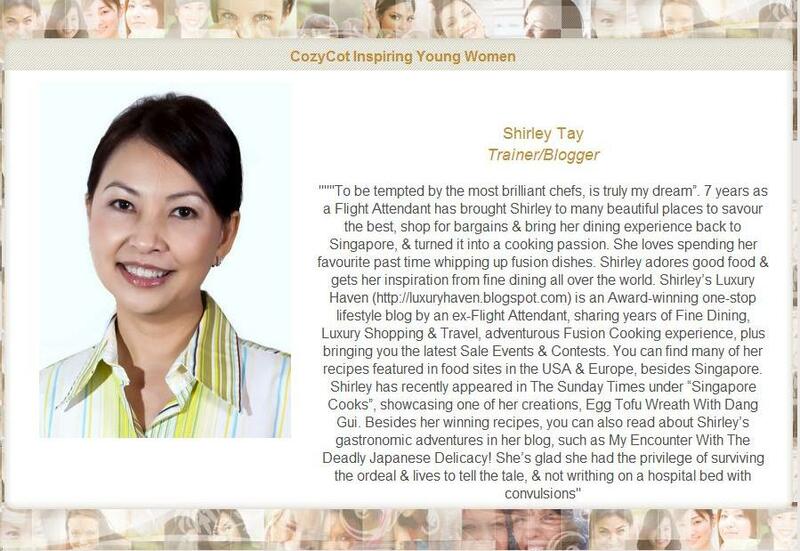 What a lovely yet invigorating recipe Shirley! What a great dish Shirley! My family loves to brew our own chrysanthemum tea and I've seen soups and other tonics using this flower but I've never thought of it in a steamed chicken dish but I can imagine how this would be so fragrant and delicious! Oh, I need to try flowers in my cooking, too! I look at the chicken in your photo and could taste the sweet goodness of the meat in my mouth already! what an amazing dish! It's feast for the eyes and I'm sure it tastes heavenly!!!!!!! 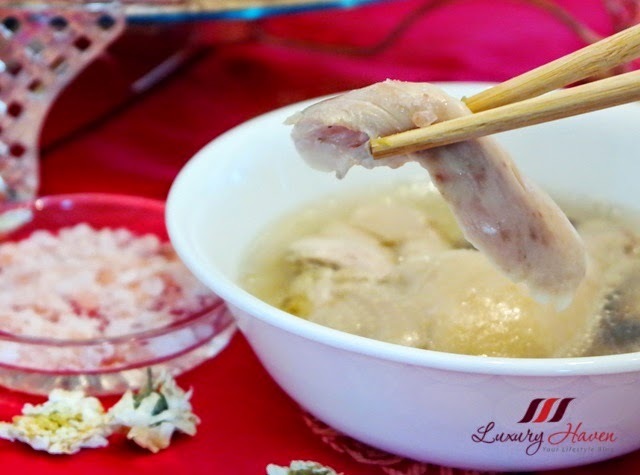 This dish is just perfect for CNY! 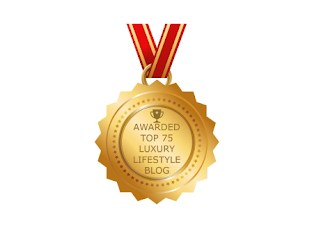 Do you wish to link your post with us at Cook and Celebrate? I like the chicken soup recipe. 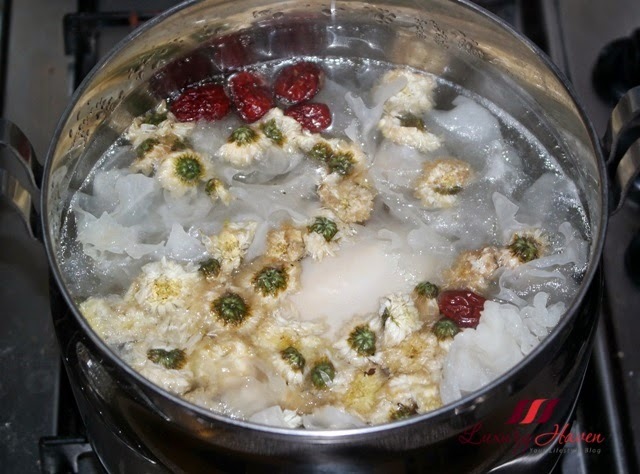 I never thought of adding the chrysanthemum flowers in soup before. I usually boil and drink it with some kei chi. Must try your recipe. Thanks, Shirley. another new recipe I learned from you..I like soupy chicken. This looks so delicious Shirley! 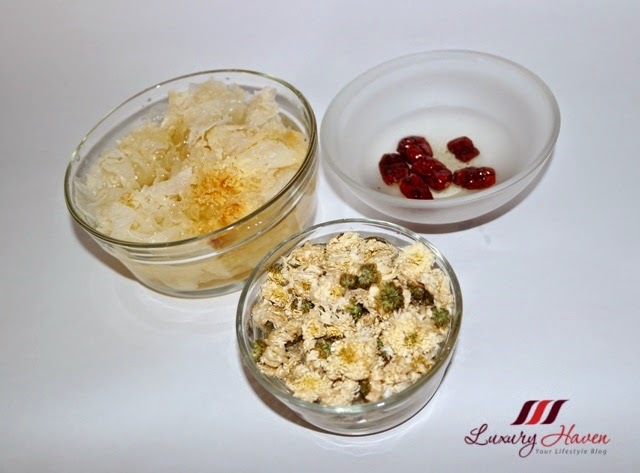 My mom used make me a soak with chrysanthemum flowers when I would get skin irritations as a child. What a delicious chicken dish my friend, Happy New Year! interesting Shirley. Don't know the flowers can use to make a savory dish too. I bet your chicken is extremely tender! I bet it tastes marvelous, too! yummy!!!!!!! i love chinese food!! I've never heard of using Chrysanthemum in savoury dishes before. Or florals in savoury period. It does look appetising though! This looks really yummy! 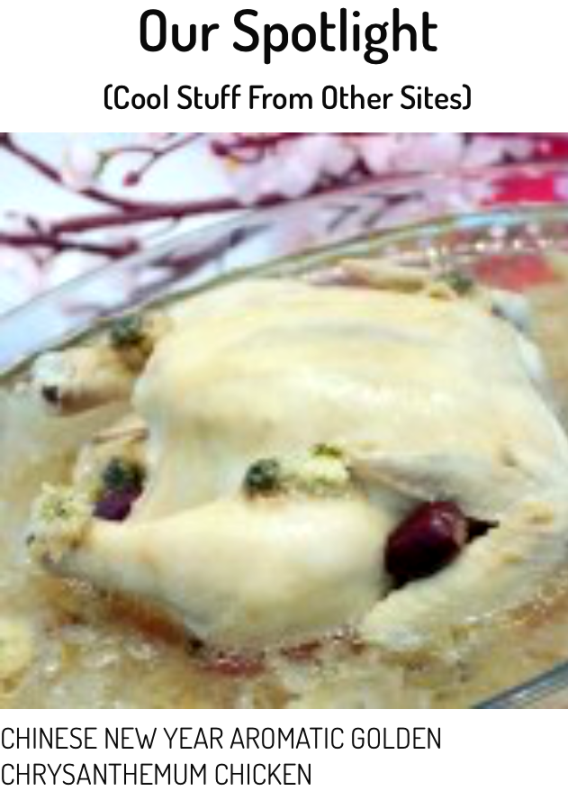 I'm an avid fan of Chicken dishes, I bet this tastes fantastic. 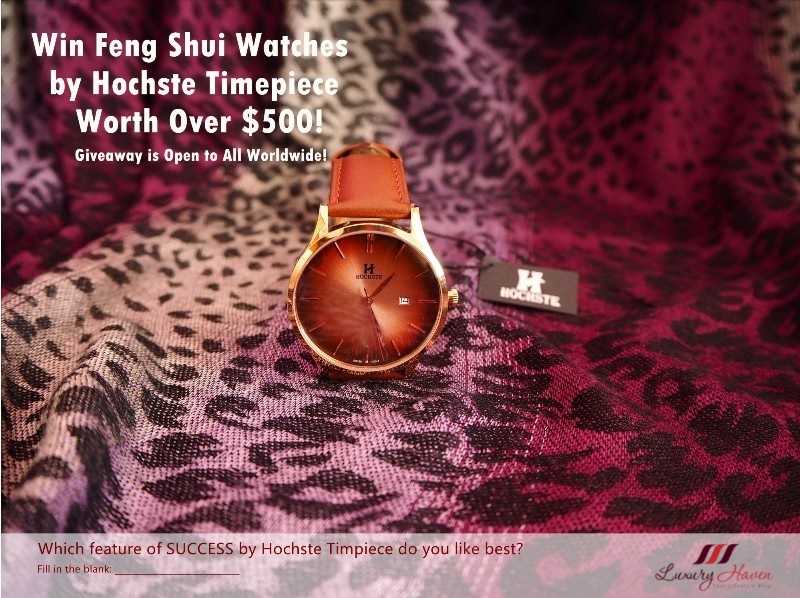 Happy Chinese New Year Shirley! A tasty looking dish .. and it's reminded me that I need to cook dinner now haha! You are an Incredible cook Shirley!!! Are you still alive? recently there's a viral post going around saying that eating chicken with chrysanthemum is poisonous. I feel it's ridiculous. Beautiful recipe btw.